Roberto Firmino looks to have handed his manager a selection headache thanks to a bright cameo in Brazil’s opening game draw with Switzerland. The Liverpool forward once again played backup to Manchester City’s Gabriel Jesus, who struggled to make an impact against a well-organised Swiss defence. Deciding between two of the Premier League’s top forwards marks a luxury dilemma, but one many believe Brazil boss Tite has approached in the wrong direction. Firmino’s latest audition saw him pose as a far greater threat than his compatriot after being introduced as his replacement in the second half. Speaking after the game, Tite spoke highly of the Reds’ no.9 but failed to shed light on whether his role would change next game. Jesus’ undisputed industry at the tip of the Brazil attack failed to materialise into many clear-cut chances, with his best work often coming through his work rate to retain the ball and bring his teammates into play. Firmino not only matched the City man’s contributions, but also positioned himself as a more effective focal point in the box. He came close to restoring his side’s lead shortly after entering the game when he latched onto a loose ball before seeing his volleyed effort sail over. A late header also called goalkeeper Yann Sommer into action to reflect his presence as a superior goal threat in the space of 10 minutes. 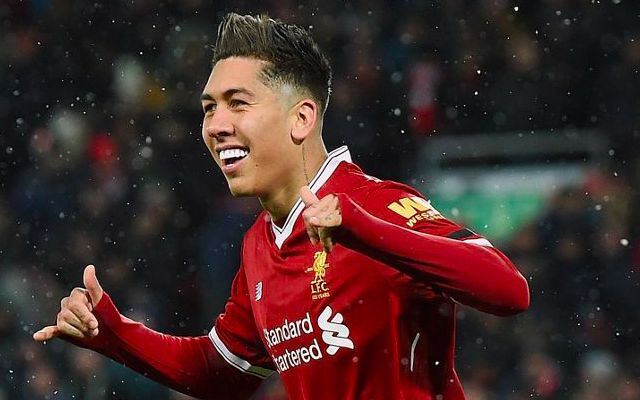 It speaks volumes of Brazil’s attacking strength in depth when a Firmino playing on the back of a 27-goal campaign at Anfield is sitting on the bench.